10:00 – In the morning in the hotel lobby You will guide and trip to Disneyland! If you are planning a trip to Japan – whether independent travel , holidays with the family or in a group, go to Tokyo Disneyland! Your child will become a real holiday vacations, if you give him a children’s tour of Disneyland. 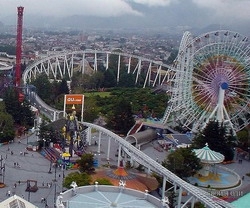 A huge amusement park with lots of thrilling rides will not leave anyone indifferent. 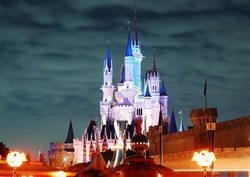 Tokyo Disneyland , which opened in 1983, became the first Disney amusement park outside the United States. 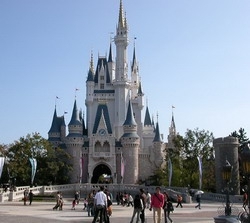 The compositional center of the Disneyland in Tokyo is Cinderella Castle, around which there are many exciting attractions, shops, restaurants and other entertainment.Disneyland consists of seven parks: World Bazaar Adventureland, Western Lands, Country Fantasy City Cartoons, Future Earth and Live Country . More than 260 million visitors have already visited Disneyland in Tokyo, and every year this wonderful place is becoming more and more popular, especially among children. At Disneyland built a lot of slides, swings, roundabouts ; Here are regularly held various games and performances. For once it is practically impossible to drive on all the rides and wander around the park. In the Land of Fantasy you can make a trip to the old Gothic mansion with ghosts, fly with Dumbo the elephant, to go in search of adventure with Snow White and the seven dwarfs, to resist the insidious witch and feel like one of the heroes of fairy tales. If you join the Western Lands , will prove to be right among cowboys, dancers cancan, miners and other residents of the Wild West. The future of the Earth , you can go on a rocket into an exciting space travel. Country Adventures will pick you up bright markets in Latin America, wild jungles, open view of Africa , tropical heat of Asia. You will get acquainted with the Pirates of the Caribbean and encounter the dangers that await anyone who dares to challenge the wild.Inhabitants Cartoons Cities – popular Disney characters: Goofy and his friends, Donald Duck, Mickey and Minnie Mouse, Roger Rabbit, Chip and Dale. Here you can take a picture with Mickey Mouse or any other charming characters from Disney cartoons. In each of the seven parks of Disneyland in Tokyo You are waiting for an amazing entertainment, thrilling rides and unusual adventures. 13:00 – Lunch at a local restaurant in the park. Guides will help with a choice of dishes. 14:00 – . Continuation of the tour In order to move over long distances inside Disneyland, you can use a special train. He goes through every 5-10 minutes depending on the time of day, a circular route length of about 5 km, which provided four stops. Unusual train window, in the shape of Mickey Mouse’s head, and the bright colors of cars will make your little trip enjoyable and memorable. 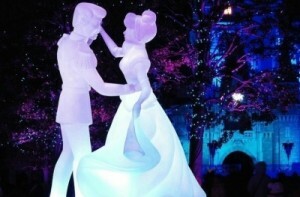 Each park regularly hosts shows and concerts involving the characters of fairy tales, movies and Disney cartoons. For each holiday, such as Christmas, Halloween or New Year, timed hits. 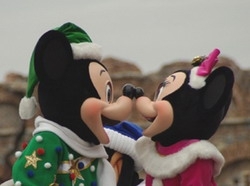 Parades – cheerful and colorful presentation, the audience pleasing costumes, music and acting.Sometimes at Disneyland in Tokyo held a special evening parades with thousands of multicolored lights make parade of Disney characters spectacle worthy of admiration. In the evenings, when it gets dark at Disneyland, guests can enjoy a fireworks show. About 300 magnificent bursts of bright light all seven Disneyland parks. During the show, the music played by a full orchestra, transforming an ordinary evening in the fabulous view. On the territory of Disneyland runs 53 restaurants. Guests are provided special services, including, for example, tours, venues for kids, banking services, venues for pets and others.Special amenities are provided for visitors with disabilities.